The world can’t seem to stop raving about Montreal’s Mile-End neighbourhood and who can blame them? It’s one of the most densely packed neighbourhoods in Canada, overflowing with plenty of colourful things to see and do. Mile-End has a wealth of restaurants that draw inspiration from around the world. 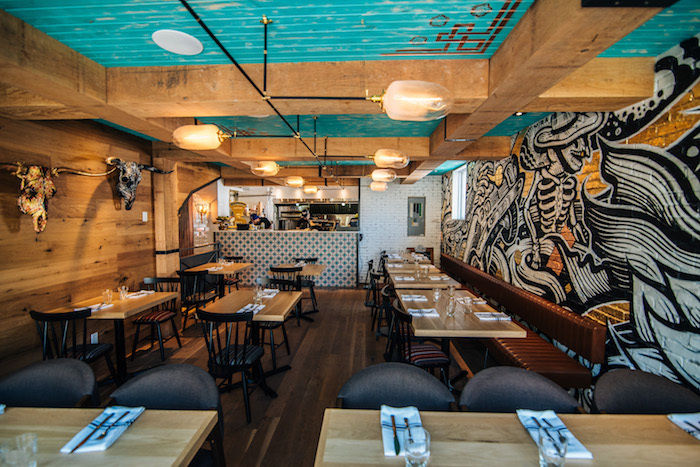 Socialito, a Mexican restaurant that recently opened on St. Viateur, joins the ranks of must-try restaurants in Montreal. When an invitation to come experience the restaurant was extended to us early last week, we jumped on the chance to give it a try. For the last couple of years Mexican food has been getting the star treatment in Montreal and the quality and creativity seems to be improving exponentially. Socialito does a great job of balancing authentic Mexican cuisine with an Asian accent that makes for an entirely unique experience. Speaking briefly with co-owner and designer, Agostino De Riggi, about the restaurant’s concept, he revealed that they wanted to do something special that would reflect the neighbourhood’s evolution. 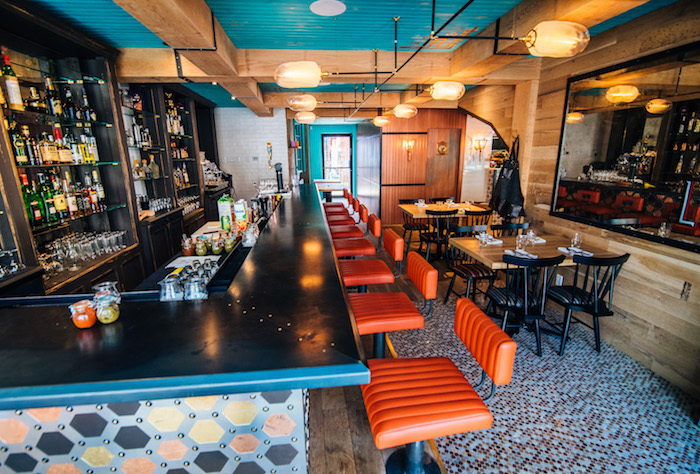 From a design perspective, Socialito hits the mark with an urban vibe that isn’t outwardly Mexican (De Riggi designed most of the furniture himself). It’s only when you take a moment to see the subtle details in the graffitied walls, the coin floor and even as far as the washroom that you being to see the Mexican inspiration. The restaurant also serves as a pilot project for Agostino and his team. Their goal is to develop concepts that will attract restauranteurs who wish to take established restaurants like Socialito and make them their own. It’s a unique innovation in Montreal. 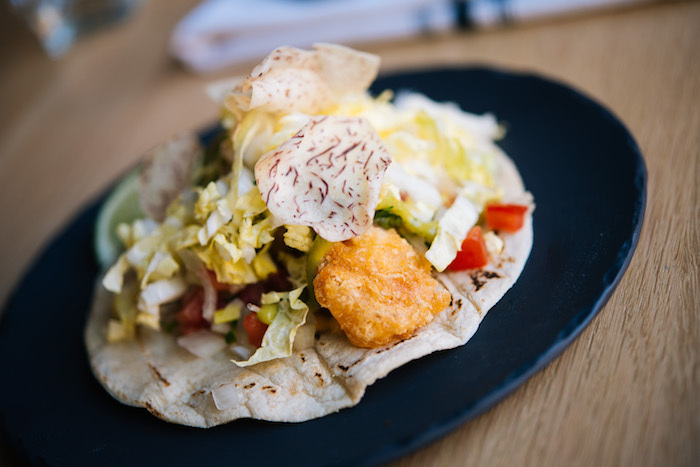 Socialito has a tight, well thought menu that erases filler altogether. 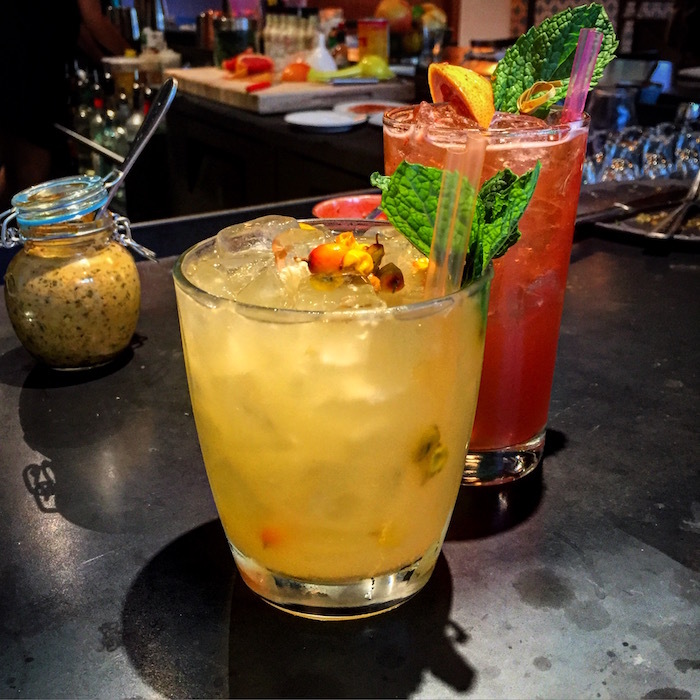 Starting with signature cocktails, all the syrups and mixes are made in house and feature flavours that will please a variety of tastes. They also have on hand a selection of tequila and of course, beer and wine. The food menu, like the cocktails, features items entirely made in house. 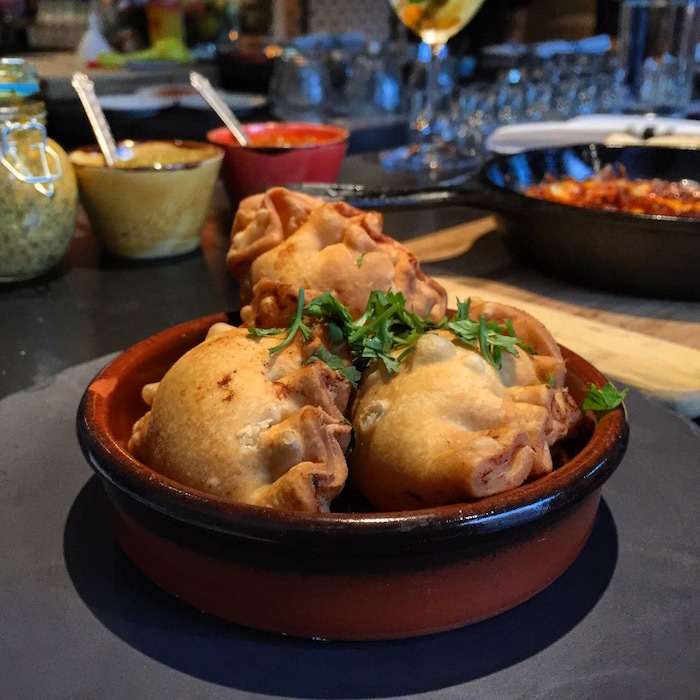 From their sauces to their empanadas, everything is made from scratch. The restaurant also follows a catch-of-the-day policy. While chatting some more with Agostino he told us that he would rather keep as much of the food as daily-fresh as possible. This means not keeping large stocks of food to have on hand at all times. Sometimes the menu will change or will adapt to what’s in the kitchen. The food we tried was excellent. We shared several plates of food including their bestselling Queso Fundido (a delicious concoction of melted cheese and homemade chorizo), vegetarian empanadas (fried but taste baked – so good! ), cod tacos, a zesty Asian-inspired papaya salad and the beef short ribs which were served with yuca fries. They also serve churros for dessert (that alone is worth the trip to St. Viateur). Having heard very little about the restaurant before going I didn’t know what to expect but it turned out to be one of the most pleasant dining experiences I’ve had in the Mile-End. 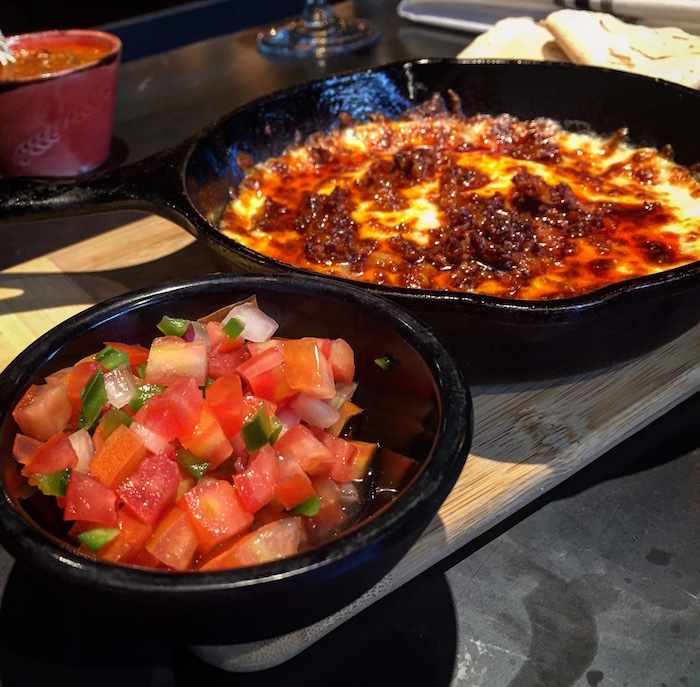 Taking Mexican food to the next level, Socialito is a fun new place to enjoy quality food and drink without emptying your wallet. Just come on an empty stomach because you won’t want to stop.